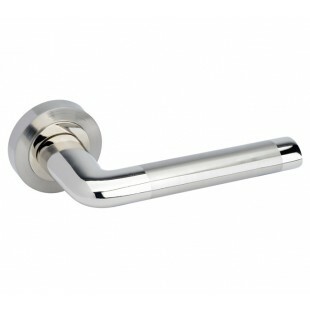 These modern chrome door handles featuring a distinctive elliptical shape lever on rose are ideal for those designing a creative and new age home. 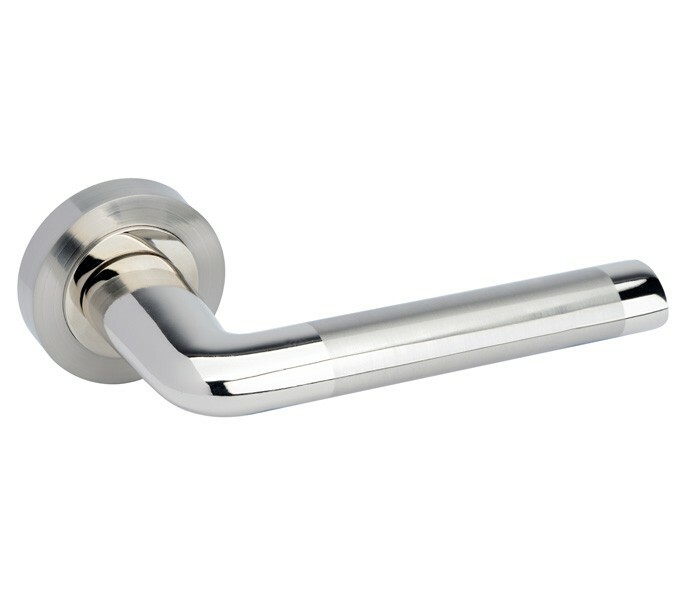 Our duo chrome handles feature both polished and satin chrome finishes, which offers great versatility for those looking to match new handles with existing chrome accessories. 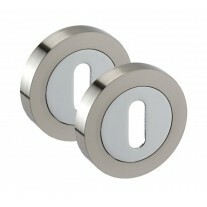 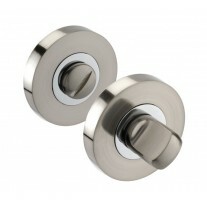 These chrome door handles are sold in pairs and are supplied complete with a 100mm x 8mm x 8mm micro-tight spindle and the necessary wood screws, adjustable length bolt-through fittings and rose pair to disguise the fixings. 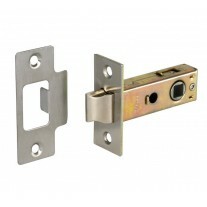 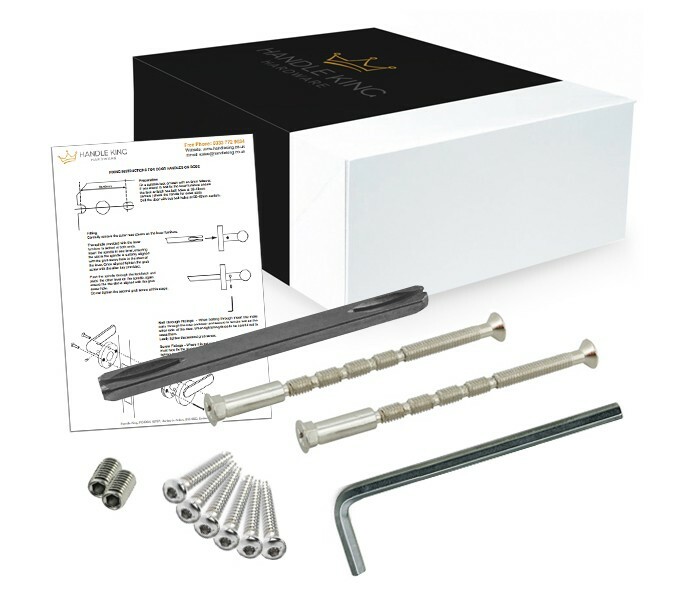 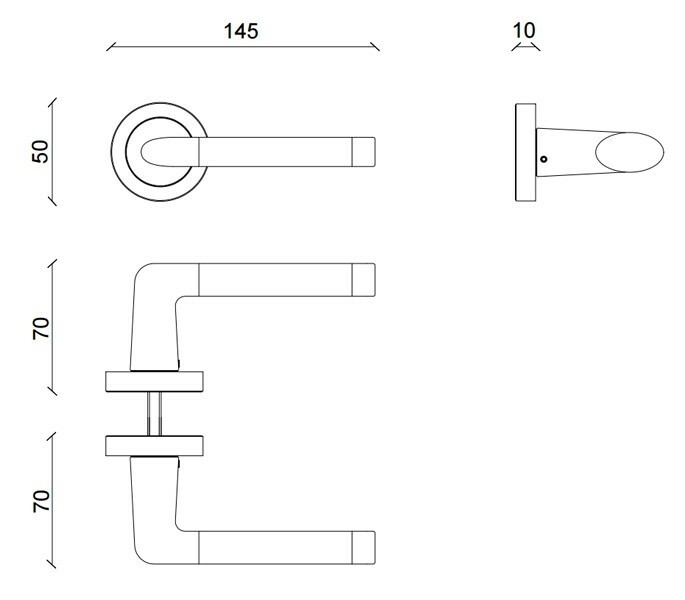 When buying these handles for a new door you will also require a latch or lock and hinge pair, which can all be purchased separately as required.